Unlike alcohol-flavored ice cream, you’ll need to show ID to purchase this pint. 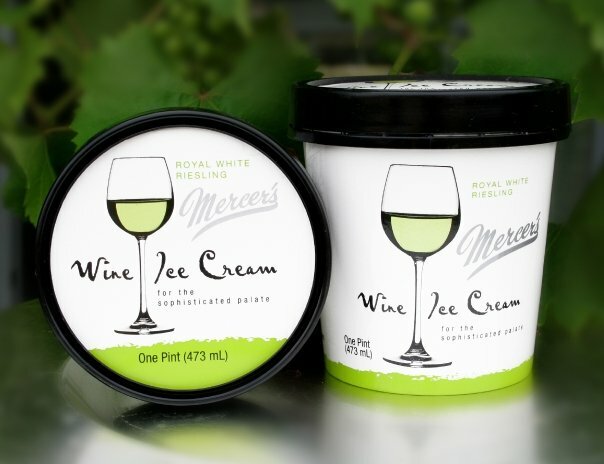 No seriously, Mercer’s Dairy wine ice cream products are made from true wine and have up to 5% alcohol by volume ice cream. Yup, you may not want to eat and drive. Satisfy your palate with one of their six flavors: Cherry Merlot; Chocolate Cabernet; Peach White Zinfandel; Port; Red Raspberry Chardonnay; Riesling.